Teeming abundant wildlife, legendary landscapes and a rich assortment of unique cultures and traditions, a cruise through this captivating continent delights and dazzles travelers year-round. Africa is fairly unfamiliar territory on the cruising circuit, but for savvy travelers who are keen on exploring a different part of the world, an Africa cruise offers fascinating cultural experiences and breathtaking views that are sure to rival many of the world’s top cruise destinations. With beautiful beaches that mirror those found in the Caribbean, distinctive architecture redolent of Europe, and wide expanses of unparalleled natural beauty, a cruise to Africa allows passengers to experience the unique charm of this multifaceted continent. 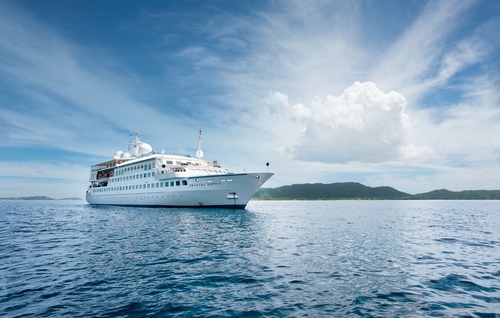 As a vast continent with more than 50 diverse nations, Africa offers a wide range of cruising possibilities. Landscapes can range from arid deserts and lush vineyards to pristine beaches and verdant forests, and passengers can choose their Africa cruise itinerary based on their interests. 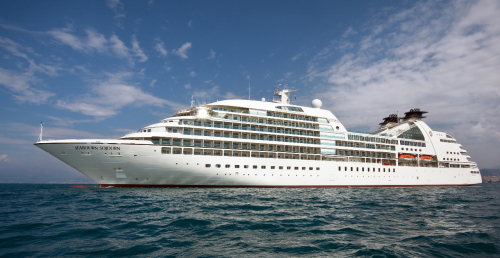 Most Africa cruise itineraries are anchored out of South African ports. These voyages connect South Africa with the coastal southeast countries of Kenya and Mozambique, as well as Indian Ocean isles such as Mauritius and Madagascar. Other Africa cruise itineraries sail along the continent's west coast, making ports of call in Namibia, Ghana, Senegal and the Cape Verde Islands. While many Africa cruises focus exclusively on African ports and can last from 7 days to 2 weeks, longer voyages that span multiple continents are also available. Typically, these journeys can last for as long as 40 days. Wildlife scouting and nature tours are the top attractions on any cruise to Africa, and many cruise lines offer land-based safari excursions in game reserve hot spots such as Kenya. In South Africa, gourmands can go on wine tasting excursions around some of the area’s stunning vineyards, and in Namibia adventurers can explore the sweeping coastal deserts and rolling sand dunes. For those in search of rest and relaxation, the sun-kissed shores of Senegal and Seychelles offer stretches of glorious beaches for swimming, surfing, snorkeling and sunning. And, for passengers wanting to glimpse some of the continent’s distinctive biodiversity, Madagascar’s Lokobe Reserve continues to draw tourists with its rich wildlife. The Africa cruise season typically runs from October to May, but if you need more flexibility with your travel times, Seychelles offer Africa cruise deals year-round while Madagascar offers cruise options in July. If you can, time your cruise to Africa so it coincides with any special activities or events, such as South Africa’s wine harvesting in March and Kenya’s safari season from January to March. For Africa cruise deals, look on either side of the October and May booking window.